I Found A Wild Pawpaw Tree! To be fair, I wasn’t the first one to find them. It was actually my dad who discovered the fruit growing next to his driveway. I was over at his house yesterday, and he handed me a cluster of green bulbish looking things still attached to a twig and asked me if I knew what they were. “I thought if anyone would know what they are it would be you,” he said. Although I’d never seen one in person, I thought I recognized them from my books. “I think it’s a pawpaw, ” I said, though I wasn’t sure. I asked him if he could show me where he found them. 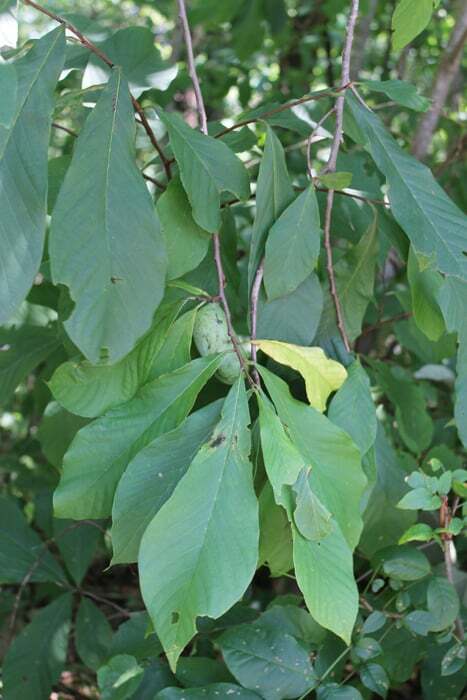 As we walked toward the edge of the forest, I recognized the leaves on a tree that looked like pawpaw leaves. “Is that the tree?” I pointed toward the suspect. “Yep. That’s the one,” he confirmed. As we reached the tree I immediately found more clusters of the same green fruit growing. “It’s a pawpaw!” I exclaimed. I was sure of it now. We planted pawpaws on our property a year or so ago, and although they’re still too small to bear fruit they do have leaves on them which look just like this one’s. I can’t tell you how excited I was that we’d discovered a pawpaw tree. Several of them clustered there together, as a matter of fact! I’ve been looking over our combined 34 acres for the past three or four years for signs of pawpaws. I knew they grow natively in our state, but never could find one on our land. We’ll finally get to taste this wild and delicious fruit! It seems like every year I discover a new plant I’ve been searching for on our land. I’m always amazed by how many medicinal and edible things are growing all around us, if we just open our eyes to the Creator’s bounty. The pawpaws aren’t quite ripe enough to pick yet. It won’t be long though, it looks like August marks the beginning of the season. I sure hope the critters don’t beat me to them! Have you ever eaten pawpaws? I harvested our first pawpaws this week. I noticed they had turned a lighter yellow/green color on the tree, and were slightly soft when pressed with my fingers. When I cut the first one in half, I was a little disappointed to find very little flesh between the huge seeds inside. There isn’t much to eat in a pawpaw. Not this one, anyways. The taste is surprisingly tropical. Somewhat like a mushed banana with a hint of mango or pineapple. The texture was creamy like custard. Not as sweet as I had expected. It was good, but not something I could eat a lot of at once. Since pawpaw trees have incredibly long tap roots, even the smallest seedlings can be nearly impossible to transplant. 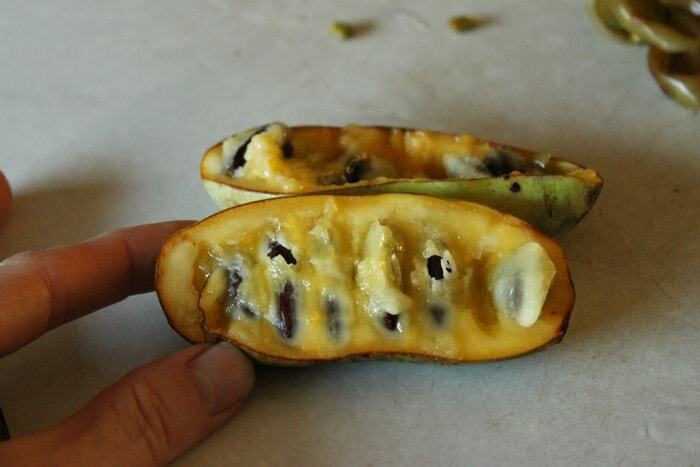 I’ve saved the seeds from the pawpaws we harvested to try to grow more closer to my house. It would be great if I could get another pawpaw patch established on the property! Anyways, this was probably my favorite foraged find this year. Although there have been a couple of other very exciting discoveries. I have three Paw Paw trees that I planted on my property in central New York and it took 5-6 years for my first harvest. I found out by a cousin of my mothers who turned 100 years old in 9/2015. 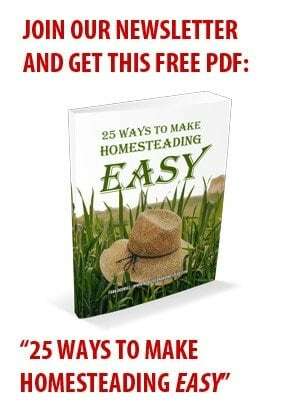 That if you want to start them from seed do not let the seed dry out plant it right away. It may take up to two years before it sprouts. I read that online, that you aren’t supposed to let the seeds dry out. I did let some dry, but I also threw some into the woods. We’ll see if they sprout. 🙂 Thank you! We tried pawpaws for the first time last year! Yummy! I don’t want to sound “Dum” but what does it tast like? I have never seen one, much less tasted one. Heck, here in Texas they would die before it got the size to eat. 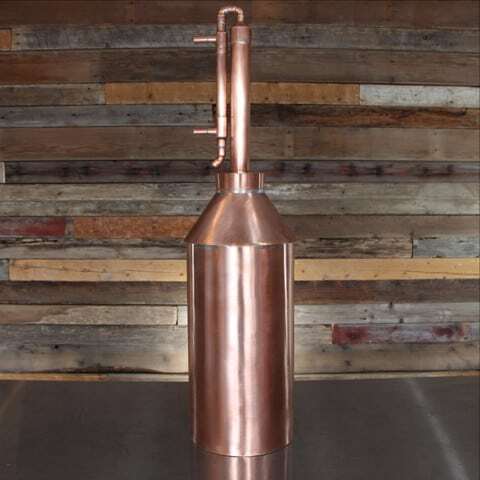 They may grow in east Texas, any thing will grow there. I have 100’s of paw-paws along my creek in southern Va. in the Appomattox area. 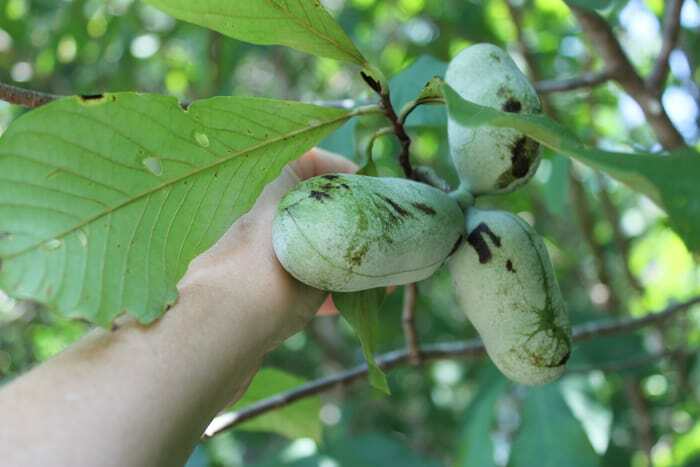 I did a post on Florida’s wild pawpaws a while back – we don’t have many of the large-fruited A. triloba trees, here, but we do have some shrubby ones with pretty flowers and small, edible fruit. As for the comment above, fear not – they WILL be edible (and probably awesome), even if not improved and grafted. Farmers have grown them from seed for untold generations. Thanks, David! I actually thought of you when I found them. 🙂 I thought you’d written about pawpaws in the past. I can’t wait to try them! If these are wild and grown from seed they may or may not be very edible. Nurseries that offer the trees often sell grafted varieties to provide fruit of a consistent quality.